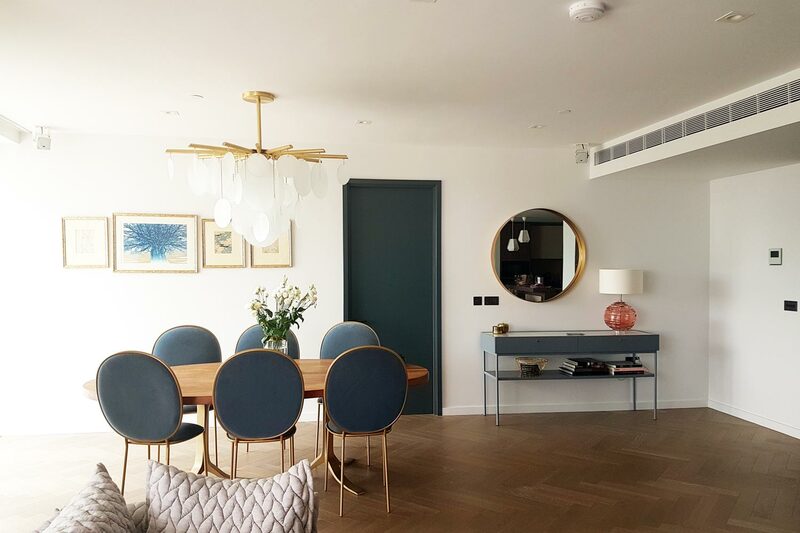 This was a private residence in the iconic Grade II* Battersea Power Station, recently brought back to life as one of the most exciting and innovative mixed use neighbourhoods in the world. 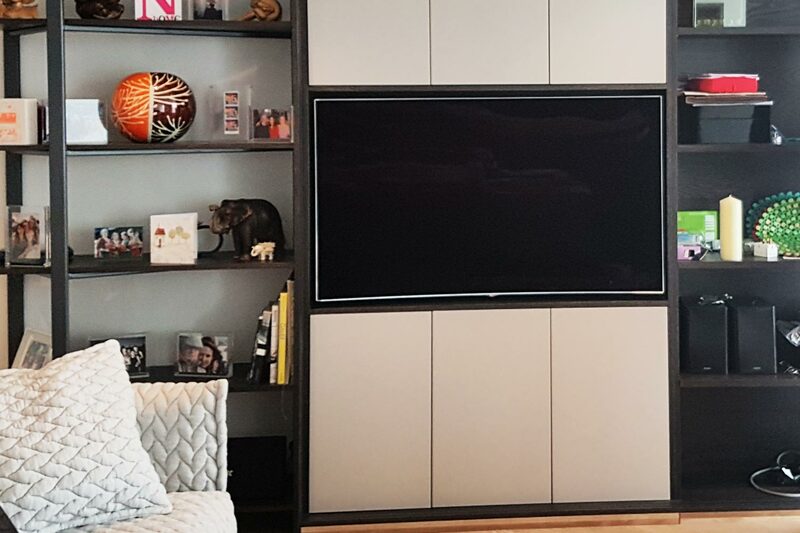 The client is not a big watcher of movies and has one main living/dining space that needs to work for watching TV and Music when entertaining. The TV is concealed and the seating is arranged for conversation not watching TV. The kitchen is off to the side of the main space so though the TV was concealed in a cabinet from time to time it would be nice to have this pull out and rotate so the client can watch TV whilst cooking. I suggested a really, high quality stereo system with sub using pro brands rather than a consumer brand cinema sound package. Careful selection of the AV receiver meant we could create 2 music zones a front zone for when you are watching TV and a second rear zone that could be turned on when entertaining for even music coverage throughout. An amplifier with a Control App was also essential. 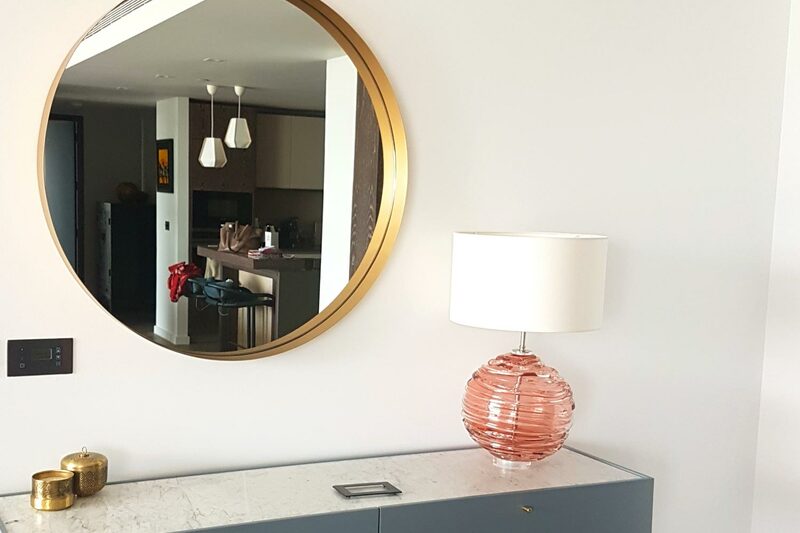 The client wanted wireless connectivity for streaming music from smart devices hence the additional of a Sonos Connect unit. It gives you all the benefits of Sonos integrated into your installed sound system and very cost effective. 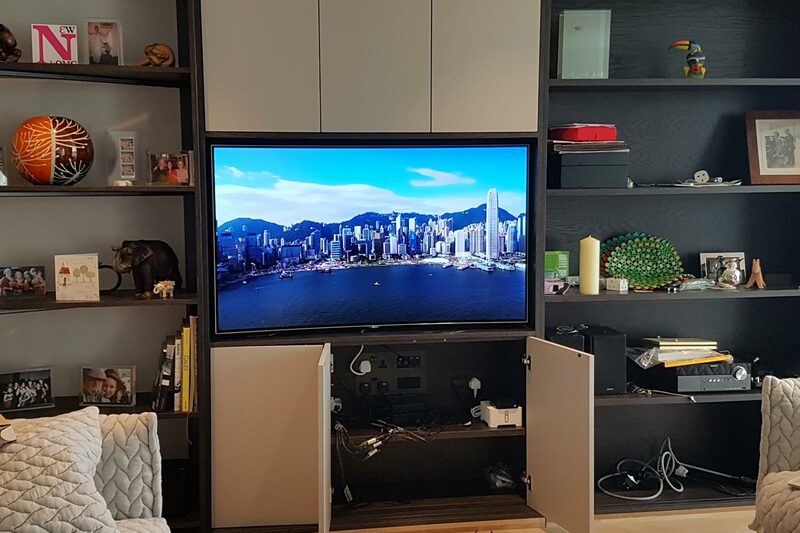 By selecting end points of the highest quality and careful consideration of how we could integrate the video and audio system in a simple set up with one remote control we delivered a very successful solution. Are you seeing the Bigger picture?